The moment magnitude scale is a measure of an earthquake's magnitude based on its seismic moment, expressed in terms of the familiar magnitudes of the original "Richter" magnitude scale. Montenegro is a country in Southeastern Europe on the Adriatic Sea. It borders Bosnia and Herzegovina to the north; Serbia and Kosovo to the east, Albania to the south and Croatia to the west. Montenegro has an area of 13,812 square kilometres and a population of 678,000, most of whom are Orthodox Christians. Its capital Podgorica is one of the twenty-three municipalities in the country. Cetinje is designated as the Old Royal Capital. 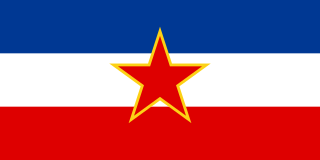 The Socialist Federal Republic of Yugoslavia was a country located in central and Southeastern Europe that existed from its foundation in the aftermath of World War II until its dissolution in 1992 amid the Yugoslav Wars. Covering an area of 255,804 km², the SFRY was bordered by the Adriatic Sea and Italy to the west, Austria and Hungary to the north, Bulgaria and Romania to the east, and Albania and Greece to the south. Budva's Old Town, one of Montenegro's Cultural Heritage Sites, was heavily devastated. Of the 400 buildings in Budva's Old Town, 8 remained unscathed from the earthquake. The 15th century walls and ramparts protecting the Old Town were severely damaged as well. Praskvica Monastery, located between Miločer and Sveti Stefan in the Budva Municipality, suffered greatly too. The church inside the monastery had all but totally collapsed, whereas the frescoes in the monastery were completely damaged. Budva is a Montenegrin town on the Adriatic Sea, former bishopric and present Latin Catholic titular see. It has around 14,000 inhabitants, and it is the centre of Budva Municipality. The coastal area around Budva, called the Budva riviera, is the center of Montenegrin tourism, known for its well-preserved medieval walled city, sandy beaches and diverse nightlife. Budva is 2,500 years old, which makes it one of the oldest settlements on the Adriatic coast. Praskvica Monastery is a Serbian Orthodox monastery in Čelobrdo, a village in the Budva municipality in modern-day Montenegro. It was a spiritual and political center of the Paštrovići clan. The name of the monastery is taken from the peach-scented water of the nearby spring. The walls surrounding Stari Bar had suffered very little damage from the earthquake, in comparison to the Aqueduct in Stari Bar which was completely destroyed. Herceg Novi, the youngest town on the Montenegrin coast, suffered heavily as well. Parts of the walls of Herceg Novi's Old Town fell into the Adriatic Sea. Ulcinj's Old Town, another Montenegrin Cultural Heritage Site, was almost totally devastated. The centuries-old Balšić Tower in Ulcinj nearly collapsed as a result of the earthquake. Stari Bar, meaning Old Bar, is a small town in Montenegro. It is located inland, a few miles from the new city of Bar, resting on Londša hill, at the foot of Mount Rumija. According to the 2003 census, the town has a population of 1,864 people. The Bar Aqueduct is a stone aqueduct, located on the northern side of Stari Bar, the old town of Bar,, Montenegro. The Bar Aqueduct is the only remaining aqueduct in Montenegro, and one of the largest and best preserved aqueducts of the three in former Yugoslavia, namely the Diocletianus Aqueduct near Split, Croatia, and the Skopje Aqueduct in the Republic of Macedonia. The Adriatic Sea is a body of water separating the Italian Peninsula from the Balkan peninsula. The Adriatic is the northernmost arm of the Mediterranean Sea, extending from the Strait of Otranto to the northwest and the Po Valley. The countries with coasts on the Adriatic are Albania, Bosnia and Herzegovina, Croatia, Italy, Montenegro and Slovenia. The Adriatic contains over 1,300 islands, mostly located along its eastern, Croatian coast. It is divided into three basins, the northern being the shallowest and the southern being the deepest, with a maximum depth of 1,233 metres (4,045 ft). The Otranto Sill, an underwater ridge, is located at the border between the Adriatic and Ionian Seas. The prevailing currents flow counterclockwise from the Strait of Otranto, along the eastern coast and back to the strait along the western (Italian) coast. Tidal movements in the Adriatic are slight, although larger amplitudes are known to occur occasionally. The Adriatic's salinity is lower than the Mediterranean's because the Adriatic collects a third of the fresh water flowing into the Mediterranean, acting as a dilution basin. The surface water temperatures generally range from 30 °C (86 °F) in summer to 12 °C (54 °F) in winter, significantly moderating the Adriatic Basin's climate. Crmnica is a historical region in southern Montenegro, lying within the municipality of Bar and is unofficially considered a division of that municipality. The capital of the region is Virpazar. The region consists of the following 27 villages: Boljevići, Braćeni, Brijege, Bukovik, Donji Brčeli, Dupilo, Gluhi Do, Godinje, Gornji Brčeli, Komarno, Krnjice, Limljani, Mačuge, Mikovići, Orahovo, Ovtočići, Popratnica, Seoca, Sotonići, Tomići, Trnovo, Utrg, Virpazar and Zabes. 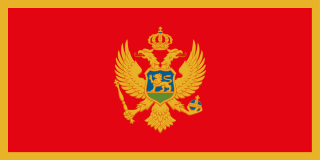 The population adheres to Orthodoxy; roughly, the majority of the population declares as Montenegrins, the rest as Serbs. The Paštrovići is a historical tribe and region in the Montenegrin Littoral. Paštrovići stretches from the southernmost part of the Bay of Kotor, from the cape of Zavala to Spič. Its historical capital was the island of Sveti Stefan. 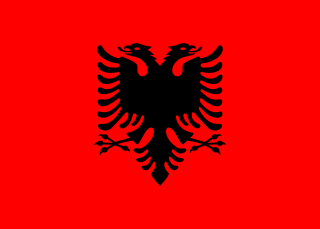 Paštrovići was a province of Venetian Albania, a Venetian possession on the Adriatic coast, from 1423 until 1797, with interruptions by the Ottoman Empire. It was part of the Kingdom of Dalmatia from 1815 to 1918, then Yugoslavia, then became part of Montenegro only after World War II. It is historically one of two major "maritime tribes", the other being Grbalj. Cetinje, is a city and Old Royal Capital of Montenegro. It is also the historic and the secondary capital of Montenegro, where the official residence of the President of Montenegro is located. According to the 2011 census, the town had a population of 14,093 while the Cetinje municipality had 16,657 residents as of 2011. First estimates of the cost of damaged cultural property was about YUD10,527,690,000 ($10.5 billion), which is just under 15% of the total earthquake damage. The 1984 inflation rates put that amount at about YUD3,174,098,500,000 (3.1 trillion), equaling to $31,700,000,000 (31 billion). The Yugoslav Government agreed to pay 82% of the total estimated cost of damaged cultural property, whereas the remaining 18% was to be paid by the local municipalities. To help meet the total costs of the disaster, the Government had set up a statutory fund whereby each worker across SFR Yugoslavia contributed 1% of his monthly salary towards the restoration effort in a ten-year period, from 1979 to 1989. Till September 1, 1983, the Government had budgeted for a total expenditure of YUD54,722,849,000 (54.7 billion), of which 3.7% or YUD21,023,620,800 (21 billion) were allocated for cultural property. By 1984, Montenegro was still under restoration, the entire Montenegrin coast, especially Budva and Kotor, and Cetinje receiving the heaviest amounts of restoration. Several objects had been fully restored by 1984, including the Memorial Museum of Jovan Tomasevic in Bar; Monastery of St. Vid and Church of St. Alexander Nevsky in Budva; Republic Institute for the Protection of Cultural Monuments (former Austrian embassy), State Museum (former Palace of King Nicholas), National Gallery and the Bishop's House in Cetinje; the Archives and Gallery of Josip Bepo Benkovic in Herceg Novi, Cultural Center in Kotor, Church of St. George in Orahovac (Kotor), Church of Our Lady in Krimovice (Kotor), Church of St. John in Dub (Kotor), Church of St. George in Sisici (Kotor), Church of St. George in Sutvara (Kotor), Church of St. George in Prijeradi (Kotor), Church of St. Eustacius in Dobrota (Kotor), Church of Our Lady of the Rocks in Perast (Kotor), Roman mosaics in Risan (Kotor) and twelve church buildings in Grbalj (Kotor). Kotor is a coastal town in Montenegro. It is located in a secluded part of the Gulf of Kotor. The city has a population of 13,510 and is the administrative center of Kotor Municipality. The Bay of Kotor known simply as Boka, is the winding bay of the Adriatic Sea in southwestern Montenegro and the region of Montenegro concentrated around the bay. Tivat is a coastal town in southwest Montenegro, located in the Bay of Kotor. As of 2011, its population was 14,111. Tivat is the centre of Tivat Municipality, which is the smallest municipality by area in Montenegro. Herceg Novi is a coastal town in Montenegro located at the entrance to the Bay of Kotor and at the foot of Mount Orjen. It is the administrative center of the Herceg Novi Municipality with around 33,000 inhabitants. Herceg Novi was known as Castelnuovo between 1482 and 1797, when it was part of Ottoman Empire and the Albania Veneta of the Republic of Venice. It was a Catholic bishopric and remains a Latin titular see as Novi. Herceg Novi has had a turbulent past, despite being one of the youngest settlements on the Adriatic. A history of varied occupations has created a blend of diverse and picturesque architectural style in the city. Social Democratic Party of Montenegro, or just the Social Democratic Party is a centre-left political party in Montenegro. It is the only party in Montenegro to have full membership in the Socialist International. The Coastline of Montenegro, also called the Montenegrin Littoral, historically the Littoral or the Maritime, is the littoral region in Montenegro which borders the Adriatic Sea. Prior to the Creation of Yugoslavia, the Montenegrin Littoral was not part of the Kingdom of Montenegro, but rather a bordering region of the Austro-Hungarian Empire, latterly part of the State of Slovenes, Croats and Serbs. This is a list of historical and geographical regions in Montenegro. These regions have no official status; some overlap; and/or some do not have clear borders. Montenegro is one of the fastest-growing tourist destinations. In 2007, over a million tourists visited Montenegro, making some 7.3 million overnight stays. This accounted for some 480 million euros in tourism revenue in 2007. In 2015, tourism realised over 1.7 million arrivals, with a further increase in 2016. In the same year, the coastal town of Kotor was named the best city to visit by Lonely Planet, whereas the country itself is continuously included in touristic top lists. With a total of 1.8 million visitors in 2016, the nation became the 36th most popular country to travel to in Europe. Montenegro was further visited by over 2 million tourists in 2017. The Government aims to attract greenfield investments, which should make best use of undeveloped parts of the coast, such as Jaz Beach, Velika Plaža, Ada Bojana and Buljarica. Such investments could potentially reshape the appeal of Montenegro to tourists, making it a highly competitive destination for sustainable quality tourism. The architecture of Montenegro is a mixture of many influences, from Roman and Venetian to Ottoman and modern times. The Third League of Montenegro is the third and lowest-tier football league in Montenegro. It is headed by Regional Football Associations, under the Football Association of Montenegro. At the season 2016/17, 23 teams participate in this league, divided in three regions. Top team from each region qualifies for the playoff from which top team qualify for the Second League of Montenegro. Montenegrin music festivals are a series of music festivals which showcase the top Montenegrin and all Ex-Yugoslavian musical acts, in different types of music. They usually involve live performances as well as awards given by festival jurors and those awarded by the fans. The majority of the festivals release a compilation of the songs entered. Mitrofan Ban was Bishop of Cetinje, Metropolitan of Montenegro, and exarch of the Serbian Orthodox Church. He was also Archimandrite of the Cetinje monastery. The Montenegrin First League 2007-08 was the second season of the Montenegrin First League and the second time the league had run under the Football Association of Montenegro, since the vote for Montenegrin independence split the Montenegrin FA from Serbia's. FK Jedinstvo and FK Berane were relegated to the second league, giving FK Bokelj their first time in the top league of Montenegro. The 2007-08 season began on 11 August 2007. The Montenegrin First League of Water Polo is the national professional water polo league in Montenegro. It was established in 2006. shortly after Montenegro declared its independence from Serbia and Montenegro. It is organized by the Water Polo and Swimming Federation of Montenegro. Three clubs from Montenegrin League are playing in Adriatic Water Polo League. The Cetinje District was a former district within Montenegro. The administrative centre of the Cetinje District was Cetinje. Grbalj denotes a historic, rural region, a tribe of the Montenegrin littoral, and a parish located between Budva and the Luštica peninsula in coastal Montenegro. Most of the region now lies within Kotor Municipality. It is a fertile region defined by the Lovćen to the east, and terminating at the low western hills overlooking the Adriatic sea to its west. ↑ "Strong-Motion Records of Earthquakes in 1979, Ambraseys, N., Smit, P., Sigbjornsson, R., Suhadolc, P. and Margaris, B. (2002), Internet-Site for European Strong-Motion Data, European Commission, Research-Directorate General, Environment and Climate Programme". Archived from the original on 2009-10-08. 1 2 3 "Zemljotres od 15. aprila 1979. godine" (in Serbo-Croatian). Seismological Observatory of Montenegro. 2010-04-16. Archived from the original on 2010-07-04. Retrieved 2010-10-11.